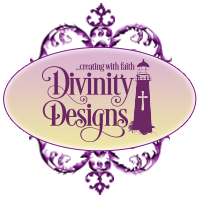 Divinity Designs, LLC Blog: A sad farewell to Julie Warner! A sad farewell to Julie Warner! 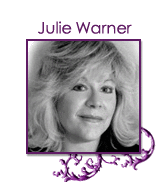 Sadly, Julie Warner is ending her very long term on the ODBD Design Team. Julie has been on the team for 6 1/2 years and has designed hundreds of beautiful cards for ODBD. She has been an important part of our growth and success. I cannot thank Julie enough for all her hard work and awesome cards she has designed for us! Oh my goodness...I can hardly imagine the Bread Basket without Julie! She will be missed!! God bless you, Julie, in all your new endeavors! Happy for you Julie, however disappointed for us. I will miss your talents and beautiful art shared with us and O.D.B. Designs. You will be missed. God's blessings to you in all your future endeavors. You will be dearly missed. You have such an immense talent aND some of the best creativity and design. I have saved many of them to use for inspiration. Thank you so much, Julie! Best wishes on our new adventure - I am sure ODB team is going to miss you - have a blessed day! Hugs, Julie... I'll miss your creative inspiration!! See you on SCS and FB. Julie, thanks for all the fabulous cards you have shared with us. I always loved seeing them. You will be missed. Oh, Julie! My heart breaks to know that you're leaving ODBD as a designer!! You are such an outstanding artist, and I thoroughly enjoy your work! God bless you, Julie, in your new endeavors! Goodbye, Julie. I pray that whatever you do next in your life will be a great learning experience and I'm sure you will give 100% of yourself. You'll be missed by many. Julie, we will miss seeing your creations each week here at ODBD! Thank you for all of the inspiration you have been to all of us! May the Lord richly bless you in the days ahead- hugs! She will be really missed. Awesome designer!! All the best to you Julie and thanks for all the inspiration!